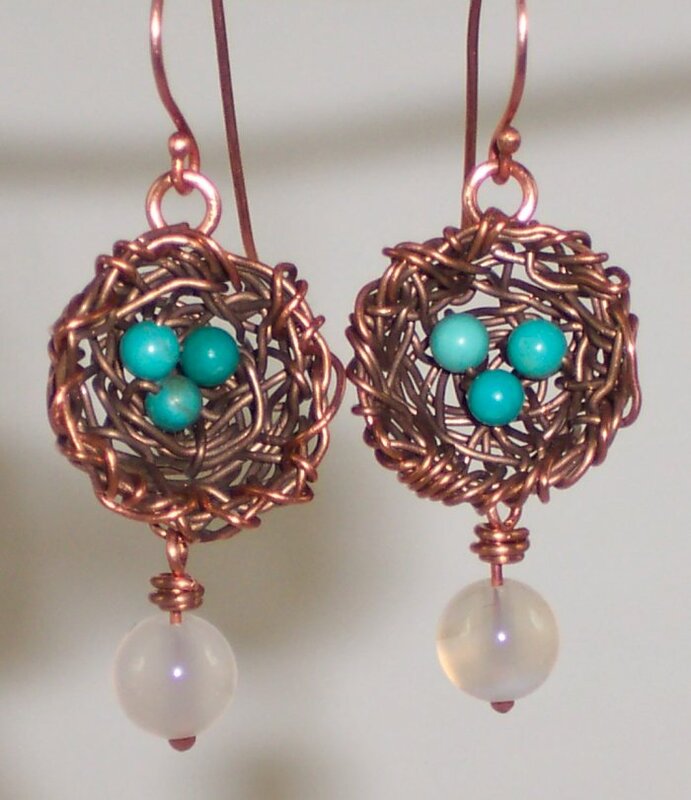 Spring is around the corner, and for this wonderful season, my goal is to make robin nest earrings and necklaces. I embarked on this journey with the piece shown below. However, when I relinquished it to the public eye, someone fell in love with it, purchased it, and now it’s on its way to its new owner! 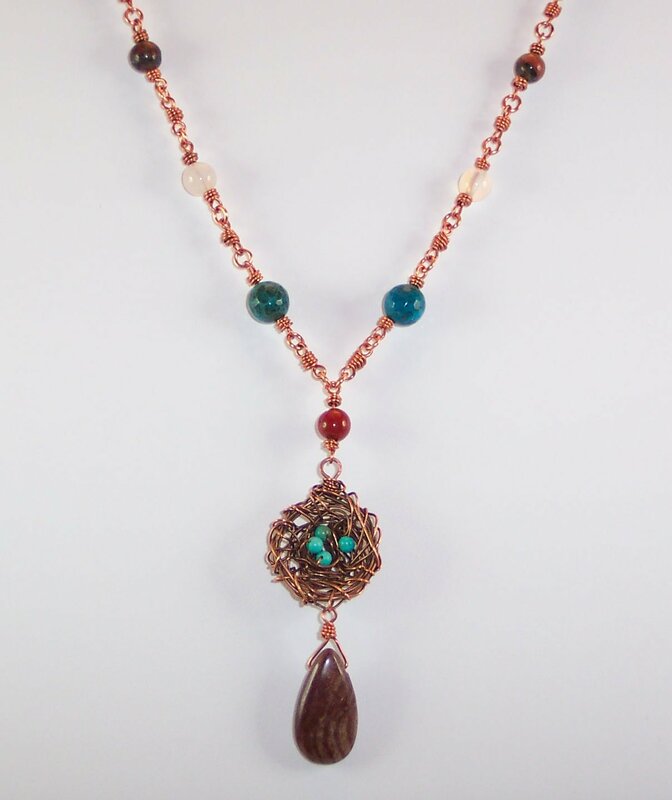 This piece was created with bare copper, which was oxidized lightly. I wanted to create a nest that was deep but not too deep that it wouldn’t sit gracefully when worn. I also wanted to incorporate colors that relate to the robin. I used faceted dark-blue agate, quartz, and red jasper for the chain. 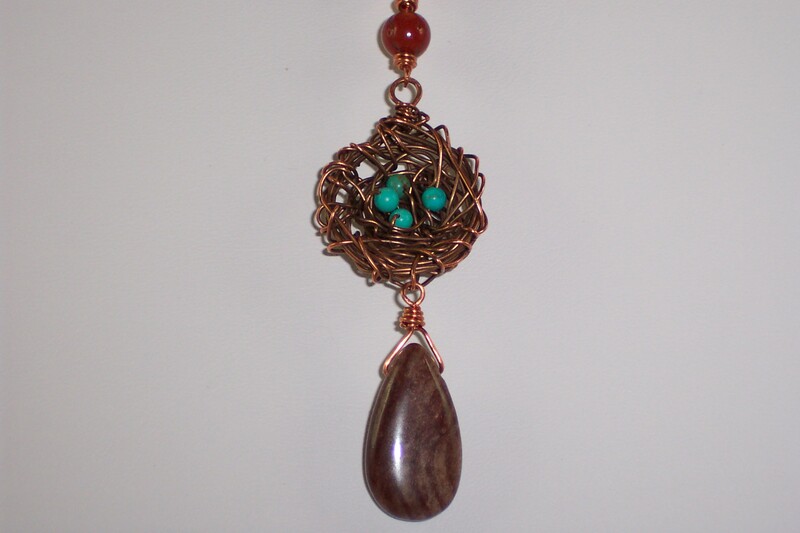 I included the red jasper because it’s reminiscent of the robin’s breast. The turquoise beads in the nest represent, of course, robin eggs. The chain was hand wrapped. Unfortunately, I don’t know what the drop stone is on the pendant. I thought the colors of the stone fit well with the color scheme of the design. 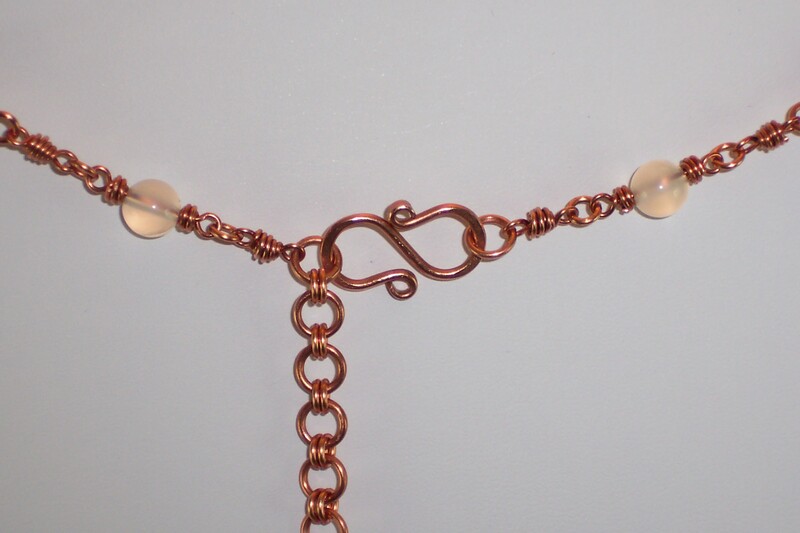 The closure is also handmade, hammered copper with a link chain for adjustable length. The idea of a robin’s nest pendant is not my own. They are quite popular among wire jewelers. Most handmade nests I’ve seen are made flat and are sparse on the wire at the base of the nest. I assume it is designed this way so that it hangs nicely. I was inspired to design a nest that reflects the robin’s nest more closely without being too bulky. I had fun making this piece and can’t wait to get started designing more robin nests. I will post my new creations in the coming weeks.